After two previous climbs and 15 years later, I'm scaling again the peak of this great mountain that looms large in southern Mindanao - or the whole Philippines for that matter. I'm talking about Mt. Apo, the country's highest. Every time I'm on vacation in Davao, I feel seduced again and again, only to be disappointed due to time constraints. This time, no matter what, I'm climbing this King of Philippine mountains again. For this endeavor, I contacted Rye Glen, a highly experienced mountaineer whom I've met several years ago. Our goal is to hit the trail via the Kapatagan route before the Holy Week madness. Previous climbs brought me through the Kidapawan trail so I'm curious about what I'll see in Kapatagan. Rye's bringing in two other trekkers, Marte Angelo and Ralph "Dugong", both students of Marawi State University. Rye's marking a milestone on this trek: his 50th climb of Mt. Apo. A multicab brought us from Digos City to Kapatagan, a barrio almost an hour away up there at the foot of Mt. Apo. The road is intermittently paved, zigzagging at times as it went up to an elevation of almost 4,000 feet where the mountains give way to a valley - thus the name Kapatagan, derived from the root word patag which means "flat" in English. I got my trekking permit at the checkpoint in Sitio Baras but not after a local official gave me the bureaucratic run-around. There's a flowchart showing the steps in getting the permit but it looked so discombobulating that a subway map of the Paris Metro written in French is easier to understand. In the old days, all I did was just fill up an application form and pay the permit fee but now they want a letter of intent, a photo and a medical clearance as well. Getting a permit to hike the Inca Trail in Peru was far less complicated than this certainly. Permit fees vary, foreigners pay P750, locals P500, students P300. There's even an "exit fee" of P200 for those that went up Mt. Apo using a different trail and exiting through Kapatagan. We got to the trailhead after getting an early lunch at a carenderia. There's a group of 11 people from Manila, the same group we saw at the checkpoint earlier. Rye, Marte, Dugong and I commenced the trek by passing through vegetable farms planted with cabbages, carrots and potatoes - crops that are destined for the big cities. This is what Kapatagan farmers make for a living and so we thread on their soil with the thought that a lot of hard work went into toiling this remote but rich volcanic earth. The trail at this point is still gentle, used a lot by the locals with some astride their horses. At Sabwag, we stopped by the house of Rye's old friends - Judith and Silo - whose frontyard has over the years, been the de facto campsite for unfortunate trekkers running out of daylight. The couple is very hospitable indeed. Just as we resume hiking again, the Manila group catches up with us - a sign that we won't be alone in the trail even if the Holy Week crowd hasn't arrived yet. What's good about being here before the Holy Week is that the condition of the trails are still intact. In fact, in most areas, the undergrowth is so thick that the trail is hardly visible. There are plenty of obstacles to hurdle, mostly fallen logs which require walking over or crawling underneath. It's a lovely day to walk nonetheless. I can't see the sun due to the thick forest canopy but it's reassuring enough that it's not raining while we're trying to reach our first campsite. We reached Baroring at 5:00 p.m. and decided to set up camp since we don't have enough time before dusk settles in to reach Camp Gudi Gudi. The Manila group, whose guides Jojo and Joel happen to be acquaintances of Rye, also settles in for the night at this campsite. I set up my new Sierra Designs tent and thought about how this little home away from home will survive during its first test in the wilderness. A little rain falls after dinner and the temperature plummets as I tuck myself into my sleeping bag. The forest canopy above us lights up into a golden glow as the sun goes up. Rye, Marte, Gudong and I are all ready for another day and after carbo-loading myself with Spaghetti for breakfast - we resumed hiking in the forest. Conditions were pretty much the same as yesterday: much of the trail is covered with undergrowth while the leaves and the twigs and the vines seem to grab hold of me as I face all that greenery head-on. More fallen logs have to be dealt with - no, it's not illegal logging but nature itself taking its course here. As we reached Camp Gudi Gudi for a short rest before noon, the trees all around us looked bent with age, festooned as they were with lichens and mosses. The fog made this campsite all the more surreal - it's like being in a dream walking barefoot here. No wonder this is a favorite campsite at the Kapatagan trail. Shortly thereafter, we found ourselves out of the forest and into our first glimpse of Mt. Apo's summit looming large in front - it is deceptively near but still a good 4-5 hours of ascent. The sight of Mt. Apo's expansive boulders give us a good idea of the tremendous task that still lay ahead. At this junction, at least I know now where exactly we're going to, unlike in the forest where even the sun is playing hide and seek. At our designated stop along the boulders, Marte and Gudong brought out the stove and a pot and Rye went into cooking mode for our lunch: whipping up chicken adobo as the clouds hover whimsically just above our heads. We ate our meal with much gusto, energized by the fact that our objective - the summit - is clearly in sight. As Rye and I started the ascent, the Manila group reappears behind us. I gingerly moved myself up these huge slab of rocks - from afar, even in Davao, these rocks collectively give Mt. Apo that "snow-capped" look. Nearby at a gully, yellow sulfur pillars spew its acrid smoke with a distinct hissing sound - I could only think of this sound being Mt. Apo snoring noisily in its dormant state - but as a matter of fact, it is a sign that underneath this mountain is a surging geothermal energy - energy that at the North Cotabato side of the mountain, the Philippine National Oil Compan y (PNOC) has been harnessing since my first climb in 1992. Even as I reach for my energy bars during the ascent, I can't help but be tempted to try the wild berries that grow abundantly amongst the boulders. The plant itself, and most of what grows at this elevation, are stunted like bonsai plants. Looking back at where we started, the broccoli-green forest below is a stark contrast to the minimalist vegetation up here. The last portion of the ascent that leads to the lip of Mt. Apo's Old Crater is steep at 87 degrees. This is typical four-wheel drive territory where all my upper and lower extremities have to be used to hurl myself up, my hands grabbing at roots and my feet anchoring on rocks. We finally made it to the Old Crater at 5:00 p.m., some few meters below the actual summit. The sod covering the crater is spongy but rainwater has collected here to form a lake. Rye initially wanted us to camp at the Old Crater but the spot he has used before is overgrown so we move up to the summit and went into this small valley at the peak where I have slept back in 1992. The walls covering the valley actually serve to deflect much of the wind howling at this altitude. We set up camp near one of these natural walls as the sun was setting and giving the sky that beautiful purple haze. Thankfully there are only a few climbers sleeping over in this valley tonight so it doesn't feel crowded. On Good Friday, this will look more like a flea market. As night fell, the winds kicked harder and I could hear my tent's fly flapping wildly. The winds are harder tonight that even the walls surrounding the valley can't contain them. Marte and Dugong unfolded a tarp and hoisted it up to cover all our tents and in the process also giving us a secure area where cooking/eating can be done. For dinner, Rye made sure our stomachs won't grumble in the cold: he made Pocherong Baboy. I haven't eaten this soupy meal at almost 10,000 feet before so this was definitely a treat. I awoke to the sound of a rattling tarp as winds continue to kick incessantly. Fog covered the whole valley that I couldn't even see the walls - the very summit of Mt. Apo. Muffled voices from the nearby tents suggest people are moving about even in this windy condition. I would have wanted to see a sunrise again atop this mountain but for fear of being blown away to Kidapawan, I would rather wait until it clears up a bit. Mother Nature is so fickle I'll just have to play with her game. Breakfast was luncheon meat and dried pusit with garlic rice - it's so good and so filling that I'm afraid I'm going to gain weight in this trek. But then, all that walking really burns a lot of calories that I think I've already reached my monthly quota of physical exercise. We explored some of the peaks that make up the summit of Mt. Apo before decamping. At one side facing Kidapawan, we saw this monstrous eyesore that the PNOC has b uilt in the early 90's. The Geothermal Power Plant is now fully operational and the white steam coming from its vents can be seen clearly from here. We clambered up another summit facing Davao City but the thick cover of clouds obscured the view. At this point, Dugong couldn't care less: he just stripped himself naked at the highest point in the Philippines. Just as we started descending towards Lake Venado at midday, rain started to fall. First it was a benign drizzle until the gray skies that are already so close to us decided to drench us with a downpour. And not just a downpour but one with lightning and thunder at that! My Inca Trail poncho - bought a mere 3 Soles in Peru - proved to be my salvation from the onslaught of rain. At various times during the thunderstorm, I had to actually squat for fear of being hit by lightning. I couldn't even care if the trail now has become a gushing stream of cold rainwater or if my GoreTex boots finally surrendered to the ankle-deep water. The lightning was the scariest part of this wet ordeal. We made it to Lake Venado after almost two and half hours. It's 2:20 p.m. Rain was still falling really hard and the four of us stood by the lakeshore with only a tarp above our heads, momentarily numbed to do anything - maybe from the cold, perhaps from exhaustion, or both. Of course we just can't stand there waiting for the rain to stop so we took turns setting up our tents while others hold the tarp to keep us from getting wet further. I went inside my tent and realize how wet my pants have become and my boots actually collected all that water! Unlike my first rainstorm in the Kidapawan trail 15 years ago (where everything got wet), I'm now better prepared for the elements of nature. I changed into dry clothes and just lay there inside my tent while the rain continued to fall. We began to worry about the group from Manila - they were still behind us and if this lousy weather goes on, some of them might be stuck midway during their descent and get stranded in the dark. It's almost 4 p.m. and at Lake Venado's altitude of 7,270 feet, the temperature goes down dramatically as nightfall nears. With a sigh of relief, their members showed up one by one, initially taking refuge under our tarp until they were all able to set up camp. And we thought our troubles were done. Just after dinner, rainwater from higher grounds made a detour and surprisingly went straight under our tents. Although I know my tent comes from the factory pre-sealed, I bought a seam sealer and applied another layer as a precaution before embarking on this trek. I expected a water bed awaiting me as I was about to sleep for the night and thankfully, my Sierra Designs tent passed with flying colors for its first test with a downpour and a flash flood. The skies were clear as I pop my head out of my tent's door. Marte and Gudong went to collect water from a nearby source while I decided to walk and explore the lakeshore. During last year's Holy Week trek, a young hiker drowned in Lake Venado while attempting to swim it. Rescue helicopters had to be sent in and Navy divers have to scour the lakebed in search for the body. Lake Venado isn't that lethal ordinarily. The lake so compliments Mt. Apo in its sylvan setting that I fell in love with this place when I first saw it. The spongy lakeshore is serenaded by tall trees hanging with ferns and mosses they look like bearded old men. As beautiful as it is, this becomes the busiest campsite during the Holy Week. Even the local government of Kidapawan maintains a police presence in the area during this time. Vendors from Lake Agko/Ilomavis area go all the way up here selling softdrinks, coffee, sugar, cigarettes and even eggs - anything that a hiker might have ran out of. Today, we're hiking through a seldom used trail, much wilder and certainly longer, leading us between the northeastern flank of Mt. Apo and nearby Mt. Talomo into Sitio Garuk in Sta. Cruz and then back to Kapatagan. We've originally planned a simple u-turn on the same trail but the prospect of experiencing a different side of Mt. Apo's environs excited me. Both Gudong and Marte we're also up for the challenge. And so is the group from Manila. We left Lake Venado almost 10 in the morning and were immediately swallowed by the forest. The trail is so overgrown that I thought we need to hack our way through. Wild flowers and wild berries abound. There's a cacophony of bird calls that it's hard to tell what feathered kind is flying between tree branches. For sure, the other forest inhabitants are there, aware of our presence but probably just avoiding us. Rye had shown me animal droppings - it could be deer or wild pig. A leech takes a hitch on Rye's foot! My boots were still wet from yesterday's rain so I decided to wear sandals only to find that my exposed feet became a buffet table for leech hardly an hour into this trail. Rye was the first to notice: he's own feet already got two swollen freeloaders. Getting rid of leech isn't as simple as merely picking it with one's fingers; a lit cigarette is the easiest way. Another t hing to avoid also is poison ivy and there's a variety of them up here. Unfortunately, one nasty leaf came in contact with a female member of the Manila group and her agony got me all the more paranoid about rubbing my exposed arms with any hairy plant. We had lunch under this huge Almaciga tree (Agathis Philippensis). Not wanting any more love bites from the leech, I wore my wet boots and felt also more secure with my footing as we negotiate slimy or muddy inclines in the trail. We're only halfway through our expected 8-hour hike to Sitio Garuk and it seem like the forest trail went on and on with not a single sign of civilization. At this point, we decided to speed up our pace, leaving behind the Manila group. Dugong and Marte bolted past me and they soon disappeared. Mercifully, the trail have been marked at various points with ribbons tied to tree branches. It's been such a long, long walk that I thought we might have mistakenly gone the wrong way and end up in Calinan, Davao City or worse, in some rebel's lair (this after all is still NPA territory). Around 5 p.m., we found ourselves in a clearing planted with abaca - I've never felt so happy seeing a vague sign of civilization! We all gave ourselves High Five's and munched on the pancakes Rye prepared this morning. Half an hour later, there below us in the fading light of day was a sure sign that we've made it to Garuk: a vegetable farm and a house. A Manobo family welcomes us to their home, offering us water in our state of near-exhaustion. The hike isn't officially over though. We walked with our headlamps on for an hour to Sitio Culan. Fortunately, the moon is shining brightly tonight that even Mt. Apo is luminously large in the distance. There's no electricity in Sitio Culan and yet the locals were milling around in what is perhaps their village square: a basketball court. Rye points to a billboard sign that he helped put up with Rotary Club some years back. Kids gawked at us curiously and a village officer came with his log book where we registered our names. Sitio Culan is part of the municipality of Sta. Cruz and we told the village officer we're heading to Kapatagan. Habal Habal (motorbikes actually that are used for local transport between villages) are available at another village for our trip back to Kapatagan so we asked two eight-year old kids to guide us there. In the village of Baroring, two men offered Habal Habal rides and for a while we thought how we could all fit in two motorbikes with all our backpacks on. Trust the Habal Habal as the villagers say and we were indeed on our way to Kapatagan where we are spending the night. The hike is over and I can't wait to take my first shower after 4 days. thanks for visiting my site. i hope you enjoyed mt. apo as much as i did - the rain, the flood, the leech and all. was hoping to see you all at camp sabros after the trek. but who knows, we might bump into each other again. i'd love to hit pulag - hopefully next time when i come back! if time and chance have you for Pulag, let us know.. or the other way around. we'll let you know. maybe we can tag along and eat your dust. hehe. "...and eat your dust" LOL!!! Hey Nomadic Pinoy, I am part of the Manila group you mentioned on your blog. Very nice reading up and appreciating the climb from your perspective. where I took the liberty of adding a link to your site. When in Sagada, say "Hi", as I live there now. Me again, Nomadic Pinoy. This is the first time I really took the time to read your blog (as against scanning). Wow! You write so well...precise words, descriptive similes, etc. Inspiring, as I see myself as a wannabe writer. Curious...did you take up writing courses? Also, I was amused by the way you kept referring to the Manila group (my group)...kinda like a recurring itch you can't scratch! ha-ha. Seriously, let me know when you visit Sagada. I still live here...and loving it. hi sir, this blog was referred to me from my colleague at DMC, si SAN SAN. heheh. This is one of the best travel blogsd around. Thanks for the comment. I know San-san, give my regards to him. I'm doing well Marte. Salamat naman at napadaan ka dito. Marami ka palang aakyatin this year! Hopefully, I can join you guys again in the future. 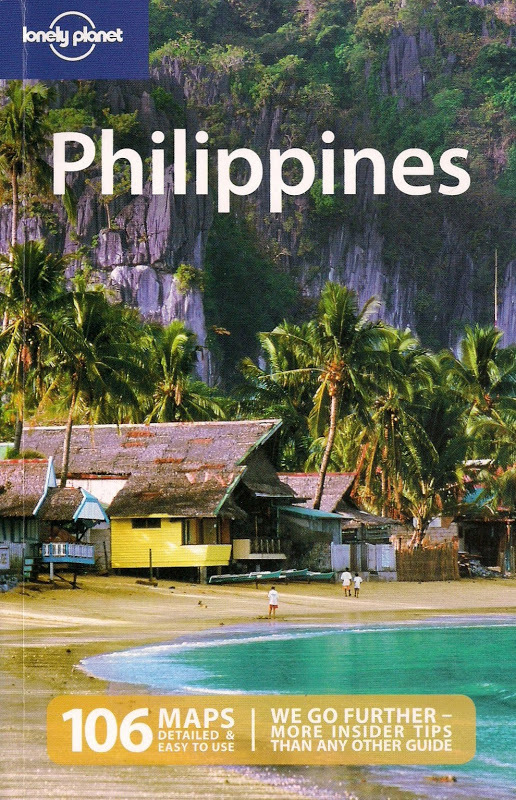 hmmmm...i'm off to Davao in january, hopefully. i;m thinking of climbing Mt.Apo but I think my body is unprepared, i dnt think i can make it. tsk tsk, but ur post makes me wanna push thru with the climb! argh! small world talaga. say hello to him if you see him. you do need to "warm up" prior to the climb pero sa tingin ko, kaya mo yan. walk up the stairs instead of elevators. in fact, prior to the Inca Trail trek, I walked up and down my 7-floor apartment building with a full backpack para lang mag-prepare. you can do it Gael! how i wish i could climb mount apo..i grew up jan sa kapatagan...but until now, wasnt able to climb the majestic mountain... be there soon.